If you need an electrical contractor for a new electrical installation, full rewire or part rewire, please get in touch for a free no obligation quote. 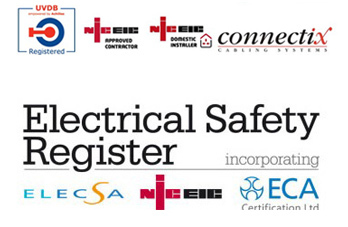 We will fully design, install and certify all work carried out in a professional and efficient manner, whilst always insuring all work complies to the IET wiring regulations BS:7671 as well as all other statutory and non-statutory regulations. New installations and rewires can generally take anywhere from 5-30 working days to complete, depending on house type and each clients individual needs and preferences.